I should start by admitting a personal bias I carried when I walked into Chronicle–I hate fictional movies filmed in the cinéma vérité, “hand-held” style. Documentaries? Cool, all over that. Hollywood movies. Not so much. I liked Cloverfield for the most part, but I couldn’t shake the feeling that the shaky cam experience didn’t really add much to it, and was at times incredibly annoying. It created a unique perspective on the monster rampage movie, but I may have liked the movie just as well if it were filmed in a traditional manner. District 9 was a good use of the style, and there are plenty of examples were it has worked well enough, but in general, it feels like a gimmick, and a dumb one at that. So lugging this chip on my shoulder into the theater for Chronicle I wasn’t sure what to expect, but I was managing expectations. Which is a nice way of saying I wasn’t expecting much. I am still not a convert to the hand-held style of storytelling, but it works in Chronicle because it finds a few ways to almost ignore it. In fact, this may be one of the best examples of the genre to date, because it totally does away with the shaky cam effect, and does so in a way that makes absolute sense with the plot. Then during the climax, the style jumps from one camera to several–a trick that has been used before–but it does it seamlessly well and you don’t miss anything. But putting aside the style, the movie just does several things right. Chronicle begins slowly, as you are introduced to Andrew (Dane DeHaan), a high school kid with no real friends other than his cousin Matt (Alex Russell), who tolerates him more than likes him. Andrew isn’t a bad guy at all, just an alienated one, with a mother that is slowly dying, and a father that likes to drink and occasionally beat on him. Partly in order to protect himself from his dad, and partly just because, Andrew decides to begin chronicling his life with a beat up old video camera. During a party that Matt talks Andrew into coming to, Steve Montgomery (Michael B. Jordan), the local BMOC finds Andrew and asks him to film something weird that he and Matt found out in the woods. The trio then descend into a bizarre hole in the ground where they discover an extraordinary and mysterious object. The film jumps forward a few weeks, and the three have become friends, bonding over the new telekinetic powers they each received. This is where the film really succeeds. Although the characters are a touch generic, they actually work off each other well. The powers quickly become the focal point, and the reactions of them has feels as authentic as something like being able to suddenly fly can be. Of the three, Andrew is clearly the strongest, but he is also the one in the worst position in life. Imagine being bullied and picked on by the popular kids in school. Then imagine you suddenly have the power to crush cars with your mind and and are invulnerable. That is Andrew’s life, and it follows a somewhat predictably dangerous path. But it really isn’t until late in the movie that things begin to go badly, and when they do, they go bad fast. From where the three characters start to where the film ends is miles apart, but it is logical and it actually makes sense. 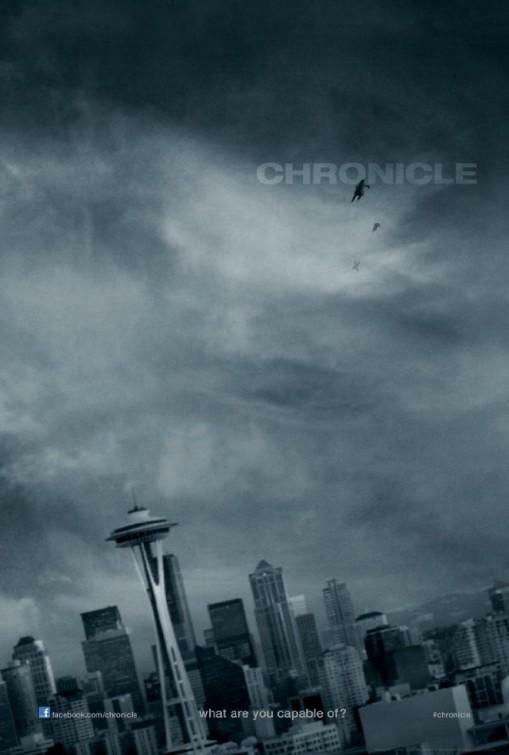 The fact that Chronicle manages to sell the transition so well is what makes the movie work. The final 20 minutes or so are an incredible example of how powers should be portrayed in most films. Without giving anything away, the climax of Chronicle is incredible, and worth the price of admission alone, and yet the lead up to get there is just as interesting. In many ways, Chronicle is one of the best superhero films around, because it doesn’t treat itself like a superhero film. The boys with powers are just high school students that gain powers. They don’t right wrongs or wear capes, and there’s nary a mention of a freeze ray or ruling the world. There is a bit of an obvious morality tale at work here about the dangers of power, but it wouldn’t be much of a film without it. The use of the hand-held camera actually works well here because it becomes part of the plot in a way. Andrew is becoming slightly obsessed with filming the three of them. He uses the camera constantly, and he has developed his powers to the point that he can make the camera float around him. That gives the camera work a much more professional look than in most hand-held camera-based movies, and it also makes for a few scenes that are unique. Again, not to drop any spoilers, but there are a few perspective shots that are incredible. If not for the plot point that Andrew can control the camera, it could have been a mess. If the camera caught just glimpses of the action, it would have been a mess of a movie. In this instance though, the choice to use the personal documentary style camerawork works perfectly. One benefit of a hand-held style is that you can cut out a lot of fat. You can get away with fragmented scenes. If someone starts yelling, you know there is a conflict–you don’t need a buildup explaining it, and you can show the resolution instead. When done right, as it is in Chronicle, it can help cover a lot of ground quickly. But while the camerawork is handled in a way that actually works for Chronicle, it puts a heavy demand on the three primary stars to sell the film. All three are up to the task, but it is DeHaan (True Blood, In Treatment) that is the primary focus, and has the toughest job. He comes across as deliberately awkward, but it is his transformation that sells the movie. It makes sense in a warped way. Andrew isn’t an evil person, but he is pushed, and pushed hard. Where that path leads is what makes this movie work. Jordan (The Wire, Friday Night Lights) turns in another great performance, although he is somewhat deliberately marginalized at times. Jordan has the potential to a be a star, and soon. Of the three, Alex Russell (Almost Kings) has the weakest performance of the three, which is partly due to the character. Russell’s Matt has the least explored personality, and his changes aren’t quite as natural as the others. None of his scenes are in any way bad, but both the character and the actor are the worst of the trio and he ends up being more of a foil than a star. That does somewhat slant the ending, and switching the roles of Jordan and Russell may have made more sense. It is a minor issue though. The film begins in such an unassuming way, that the end will blow you away. It is a superhero film without superheroes, and if they ever get the Akira live action film back on track, those filmmakers should look at what Josh Trank did in his directorial debut with a shoestring budget and emulate it (which is a nice way of saying copy it). 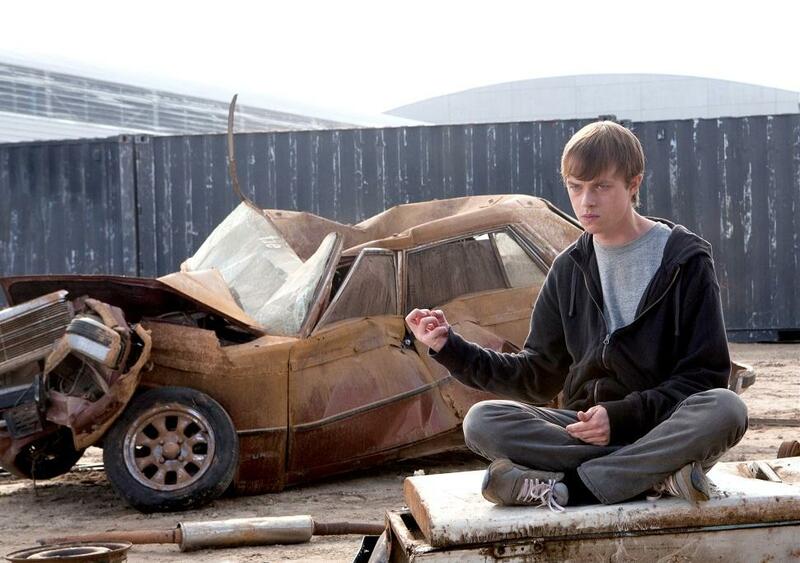 Chronicle could be the first sleeper hit of the year. The advertising campaign has been going strong, almost annoyingly strong, and sometimes that means the studio is desperate to get you to see it to make its money back. That probably isn’t the case here though. In all likelihood, the studio wants you to see this movie because they think they have a winner on theirs hands. And they’re right.